Bournemouth are leading the race to sign Dan James after Eddie Howe identified the winger as a replacement for an Arsenal target. The post Bournemouth line up £10m Leeds target as Arsenal eye.. Growing Premier league interest in Leeds target Dan James means he's highly unlikely to sign a new deal to stay at Swansea this summer. 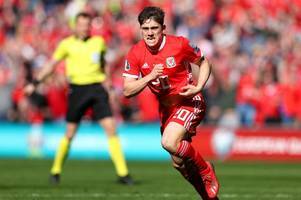 The post Ex-Leeds striker makes Dan James prediction ahead of..
Leeds fans have been hoping that their interest in Dan James will be reignited amidst reports from the BBC that contract talks with Swansea City have come to a standstill. Tottenham Hotspur have reportedly joined the race to sign Leeds United target Dan James, and if true it is surely a catastrophic blow to the Yorkshire outfit's chances of signing the Swansea City man. Manchester City are the latest club to be linked with a move for Swansea winger Dan James and that could still be good news for Leeds. 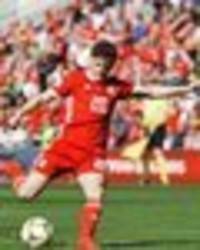 The post Man City link could see Dan James join Leeds in..
John Hartson reckons that Leeds United target Dan James could be worth £30m now, and the Whites should forget about him and sign a player that snubbed them before in Albert Adomah instead after..
LEEDS UNITED fans were left ruing a case of what could have been after Dan James scored Wales’ winner in Sunday’s Euro 2020 qualifier against Slovakia. 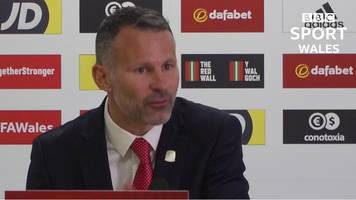 Wales manager Ryan Giggs says he is delighted Dan James scored the winning goal in their Euro 2020 qualifier against Slovakia. It might be the international break, but that didn’t stop a group of Leeds United supporters moaning about their club’s transfer business. The Whites looked certain to sign Dan James, the Swansea..
Former Manchester City starlet Bersant Celina says Swansea’s Dan James is the quickest team-mate he’s played with. 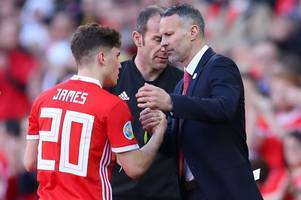 The 22-year-old knows what he’s talking about, too, having come through City’s..
Swansea already have an ideal Dan James replacement if the winger leaves, in Bersant Celina. 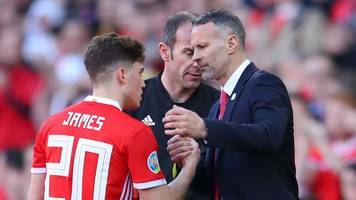 Graham Potter says contract talks with Dan James are not progressing well after hinting at the true reason his move to Leeds collapsed. 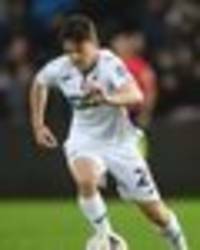 The post Dan James hope for Leeds, as Potter opens up on..
Leeds United fans react to Swansea City attacker Dan James' performance against Brentford in the FA Cup on Sunday afternoon. Swansea City fans react to Dan James' performance against Brentford in the FA Cup. Swansea reached the quarter-finals of the FA Cup with a 4-1 victory over 10-man Brentford after Dan James inspired an amazing second-half comeback. 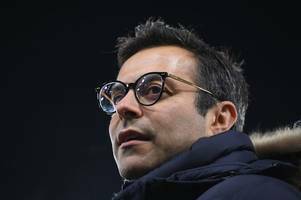 The Bees controlled the first period to deservedly..
Leeds United CEO Angus Kinnear has come clean on the "bizarre" deadline day failure to land Dan James - and they their hopes are not over. 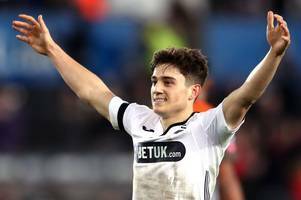 The post Leeds chief hints Dan James bid will be relaunched..
Swansea boss Graham Potter says he has no qualms about throwing Dan James into the action at Leeds on Wednesday. 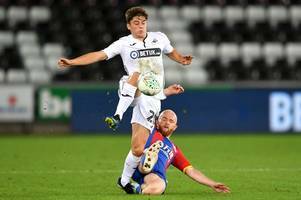 The post Swansea boss ready to throw Dan James in against Leeds appeared first on..
Dan James has pledged to continue giving Swansea his all after the winger spoke for the first time on the breakdown of transfer to Leeds. The post Dan James makes Swansea vow as star opens up on..
Swansea have denied claims they "made no attempt to keep" Dan James as the fallout over the breakdown of his move to Leeds continues. The post Dan James fallout continues as details emerge of Leeds..
SWANSEA CITY chairman Huw Jenkins called off Daniel James's move to Leeds because he didn’t agree with the Yorkshire club's payment plan. 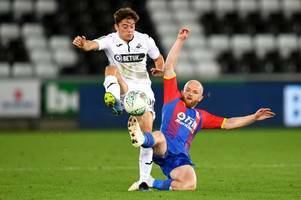 Leeds' January pursuit of Swansea winger Daniel James dramatically collapsed last night at the 11th hour. 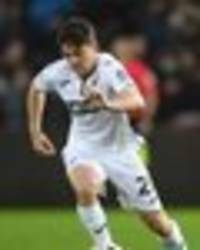 The post Details revealed of why Leeds’ move for Dan James collapsed appeared first on..
Championship high-flyers Leeds United have been left frustrated in their pursuit of Swansea City star Dan James The post Leeds United left stunned as deadline day deal for Swansea star collapses..
Dan James has arrived at Leeds' Thorp Arch training base for a medical ahead of his eagerly-awaited transfer to the promotion hopefuls. The post Dan James arrives for medical as Leeds edge towards..
DAN JAMES is having a Leeds medical after the Championship side agreed a deal with Swansea for the winger. Leeds look finally set to sign Dan James after Swansea caved in to the player's wishes and granted him permission to join the Whites. 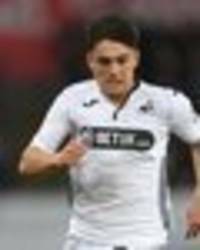 The post Leeds finally strike unique agreement with Swansea over..
Leeds have informed Swansea their bid for Dan James will not be raised - but the winger has now taken matters into his own hands. 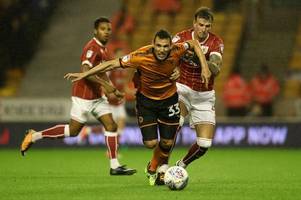 The post Dan James takes measures to force move as Leeds refuse to.. 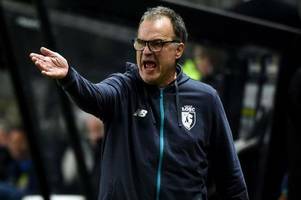 Follow along live as TEAMtalk brings you all the done deals, rumours and transfer exclusives on the final day of the January transfer window The post Transfer Deadline Day live: Suarez, Tielemans,..
Leeds and Swansea are continuing talks on Wednesday as Marcelo Bielsa's side look to strike an agreement over the signing of Dan James. 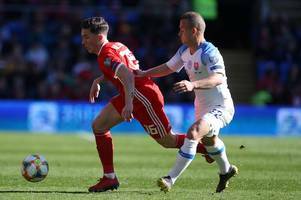 The post Revealed: Why Leeds are struggling to finalise £10m..
How did Swansea City's highly-rated rookie Dan James slip through Hull City's net?